Four mini workshops with 24 patterns and spectacular photography in this compilation help knitters think creatively, find inspiration in their surroundings, and shape those elements into garment design. Stunning patterns are arranged by season, reflecting the colors and beauty of nature that inspire feminine designs. From an amber-beaded cardigan that captures the feeling of hay fields drying in the sun to a long, belted coat with a spray of coral roses inspired by flowers in local markets to an intarsia jacket that evokes memories of a fall hike in a forest, each pattern is rich with color, detailing, and romantic knitting style. The design workshops throughout this guidebook challenge knitters to find inspiration in their surroundings, build color palettes, swatch creatively through knitting and sketching, and finesse their style and fit. 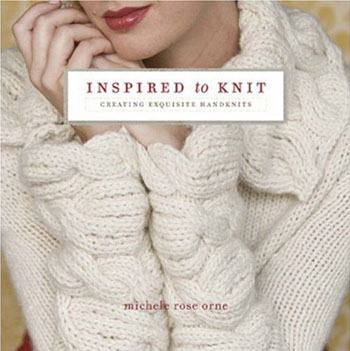 Michele Rose Orne has been designing for more than 20 years in the garment and handknitting industry. She has designed for Vogue, Classic Elite, and Tahki. In addition, she has designed for many publications including Interweave Knits, Vogue Knitting, Westminster Fibers, and Holiday Handknits. She lives in Camden, Maine.